One of the best things about mountain biking is that it’s fun, but at the same time it’s also freeing. And if you have a dog, then you can train them to become a true trail dog mtb. This is really good, because you can easily train the dog as you go biking taking your time. And at the same time, you maintain your dog’s safety. This really shines, as it brings in front some unique ways for you to enjoy your time mountain biking while also helping your dog stay in shape. As you can see from the Jack Russell in “Lily Shreds”, she is a very fast and obedient dog. It’s quite fun to see the animal roam around alongside the trainer and enjoy here time on the trail. Sometimes this is the push that you need in order to get your dog training to the next level. And it really works, which is exactly what you want to have in situations like this. The trail dog mtb experience can be very fun as long as you enjoy having a pet around and running with you all the time. Pet owners should try out having a trail dog mtb with them outside on the trails. It’s always a wonderful adventure to train with your pet, and it will definitely be well worth it if you continue your practice while also allowing your pet to have a little bit of fun! Which breeds are the best trail dogs? It depends, but there are some great trail dog mtb breeds. We would recommend the Brittany, Australian cattle dog, Siberian, Weimaraner or the Hungarian Vizsla. They are all very good, amazing dogs and the overall results are actually quite good with each one of their breeds. You should take your time if you want a good trail dog mtb, as choosing the right breed is very important. But if you do opt for any of the breeds listed above, you should have no problem training your pet with a little time and patience. Remember, repetition is the key. Join MTN Ranks mascot trail dog MTB Lily as she loves chasing bikes in Park Park City Utah. Trails are exactly what this Jack Russell needs to let out all her excitement. See more of Lily chasing bikes. 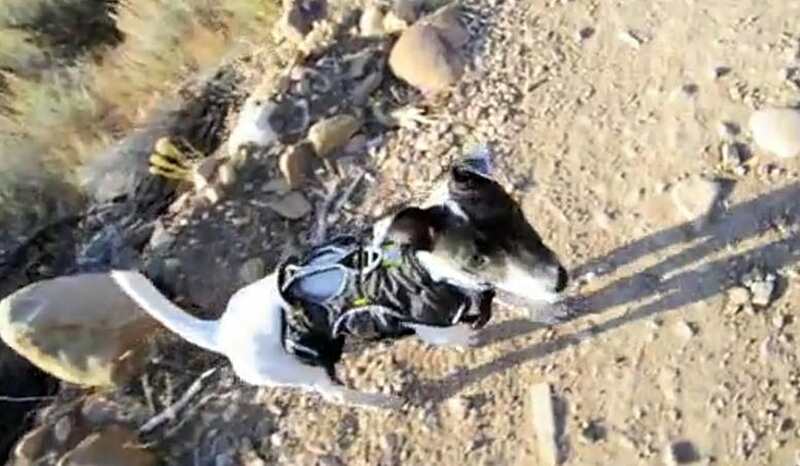 Watch Trail dog mtb Lily the Jack Russell shred downhill.